Hardly a day goes by without another Saudi arriving in Syria to join jihadist groups and fight in their ranks. 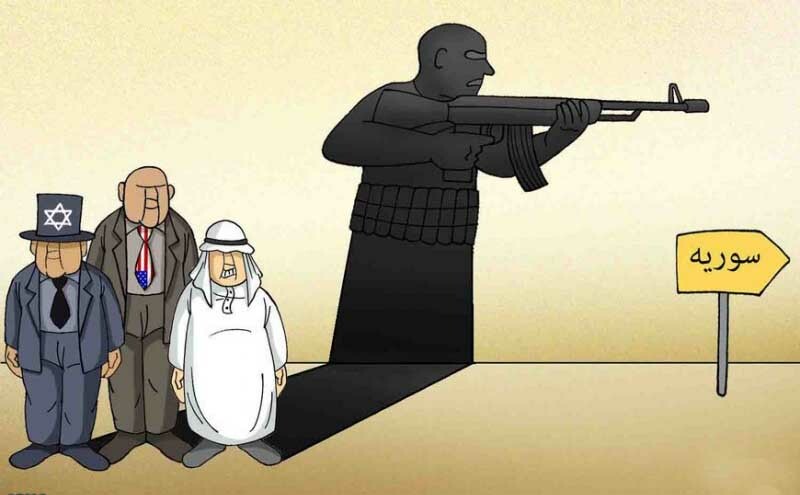 Although the jihadists in Syria hail from various nations, Saudis are the source of jihadist leadership and a reservoir of suicide bombers, distinguishing them from their peers. While we may know that the most recent Saudi to arrive in Syria was 17-year-old Mouaz al-Maataq, we will probably never know the identity of the first Saudi to go to Syria to join the fighting, or the exact date of his arrival. As stated in the few available data, Abdul Aziz al-Othman was among the first Saudis to travel to Syria in early 2012 to fight against the state authorities. Othman became a prominent leader of Jabhat al-Nusra and some stories on his death in al-Shaddadi, in the al-Hasakeh governorate, even said that he was in the same car with Abu Mohammed al-Golani, a leader of Jabhat al-Nusra, and Abu Maraya al-Qahtani, Nusra’s chief legal adviser. This indicates that he was a close and reliable associate of the two. Omar al-Mouhaisini, another Saudi, was also killed in the same accident. This does not mean that Saudis did not arrive to Syria before that date. It is likely that the influx of Saudi jihadists into Syria began with the start of the crisis there. Yet, at that time, traveling to Syria was not taking place through a general mobilization, but rather through the summoning of some former al-Qaeda leaders and veterans from the first generation of Afghan Arabs who individually traveled to Syria to explore the best ways to act there. This certainly meant establishing primary cells to lay the foundation of jihadist groups. According to exclusive information which As-Safir obtained from a source in the Ahrar al-Sham movement, a figure far removed from the spotlight played a prominent role in the formation of the first armed Islamic-oriented battalion and, from the beginning, sought to cooperate and consult with prominent al-Qaeda figures regarding the best methods of jihadist war in Syria. This man is Abu Khalid as-Souri, an important figure in Jihadist history, to which Abu Musab al-as-Souri dedicated his book titled A Call to Global Jihad. Souri worked with Atiyatallah al-Libi, another al-Qaeda leader, which indicates his importance and central position. This importance is likely to grow bigger, because he was recently chosen by al-Qaeda leader Ayman al-Zawahiri to referee disputes between Golani and the leader of ISIS (Islamic State in Iraq and al-Sham) Abu Bakr al-Baghdadi. 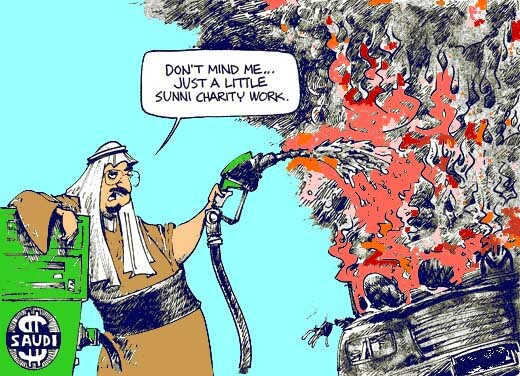 Souri is a reliable man and clearly has a leading position in al-Qaeda. According to the source, a number of foreign fighters, including Saudis, were in Syria as the Ahrar al-Sham movement was emerging in May 2011. Souri is a founder and senior leader in this movement. Most of these “migrants” had secretly joined Ahrar al-Sham, since it was a faction recommended by al-Qaeda leaders, though the majority of them moved on to Jabhat al-Nusra, when the latter was established. As for Souri, he remained with Ahrar al-Sham, in a move that may have been intended to strengthen the “al-Qaeda movement” in Ahrar al-Sham, to be used at the right time. That al-Qaeda leaders and figures from the first generation of Afghan Arabs were able to easily travel from Saudi Arabia to Syrian territory raises questions about the role of Saudi security forces in monitoring and tracing them. Does this move represent an indicator that the Saudi intelligence services are turning a blind eye, or is it a greater issue? According to other available data, Sheikh Abdel Wahed, who is known as Saqr al-Jihad (the Hawk of jihad), may be the first leader of the first generation of Afghan Arabs who arrived in Syrian territory a few months following the outbreak of the crisis. He settled in the mountains of Latakia and worked on establishing the Soqqor al-Ezz battalion, through which Abdel Wahed attracted prominent figures of the jihadist struggle in Afghanistan. These included Abdel malak al-Ihsa’i (Abu Leen), Zaid al-Bawardi (Abu Ammar al-Makki ) and Abu Mohammed al-Halabi, who were all from the first generation and had spent more than 25 years in wars (from Afghanistan to Bosnia, Chechnya, and Iraq). Syria was their very last station, because all three were killed soon. The Soqqor al-Ezz battalion later assumed the role of receiving “migrants” at the Turkish-Syrian border and providing shelter until they were assigned to battalions. Sheikh Abdel Wahed was followed by men who were less important than he, such as Najmeddine Azad, whose real name is Adel al-Otaibi, and who fought in Afghanistan with late al-Qaeda leader Osama bin Laden and another leader known as Khattab. Otaibi moved from Saudi Arabia to Syria, despite that one of his legs has been amputated. There is also Fayez al-Mitab, who is considered a friend of bin Laden, as the latter used to stay at his residence during his visits to Saudi Arabia. Various other figures from the Afghan jihad, whose participants are internationally considered as terrorists and supposed to be prosecuted, or at least surveilled by the Saudi authorities, followed them. This raises the question of how these persons suddenly gained, with the onset of the Syrian crisis, freedom of movement across the border without any restrictions or control. Is it possible that this happened under the nose of Saudi intelligence services? If we presume that the first people who resorted to jihad in Syria managed to deceive Saudi authorities and were able to join Syrian jihadist organizations, then why are their fellow Afghan Arab veterans still flowing into Syria to date, without the Saudi intelligence services trying to stop them and ban them from leaving the kingdom’s territories? 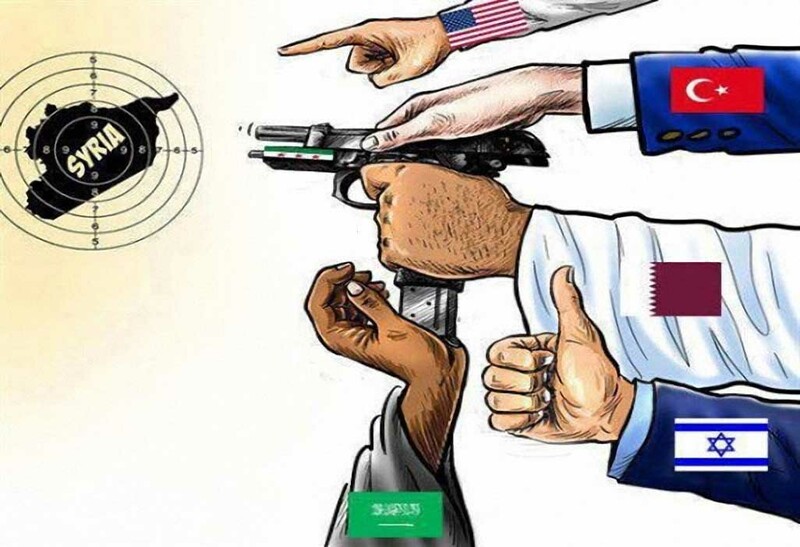 The frequency with which Saudi nationals were collectively mobilized to fight in Syria increased after Jabhat al-Nusra was established and started carrying out its suicide operations. Convoys of jihadists were crossing the Turkish border continuously all the way to the headquarters of the Soqqor al-Ezz battalion in the mountains of Latakia. From there, these convoys either enrolled in Jabhat al-Nusra or stayed with the Soqqor-al-Ezz battalion. The majority of these Jihadists joined Jabhat al-Nusra, since the sheikhs of al-Qaeda recommended Jabhat al-Nusrah instead of Ahrar al-Sham. Abdul Hakim al-Muwahad, whose real name is Abdul Aziz Al Sibaie, joined Jabhat al-Nusra. While he was no ordinary member, he also was not experienced in jihad. However, he was banned from traveling by virtue of a decision issued by the Saudi Arabian authorities, and he actively called for staging the sit-in in Tarafiyah in the city of Buraidah in Saudi Arabia to demand the release of political detainees. Moreover, as soon as he arrived in Syria, he became a coordinator recruiting Saudis for jihad in Syria and helping them get there without falling prey to the hands of the Syrian security services. Sibaie was neither the first nor the last Saudi citizen who has been banned from traveling, yet succeeded in arriving in Syria. It is no exaggeration to say that the available data at hand indicates that a large number of Saudi jihadists present in Syria are in fact barred from traveling, by virtue of a formal decision issued by the Saudi authorities. These figures include Abdullah bin Qaed al-Otaibi, Badr bin Ajab al-Mqati, Abdulla al-Sudairi, Uqab Mamdouh Marzouki, and dozens of others who arrived in Syria despite the travel ban. It is worth mentioning that these Saudis left the kingdom through Riyadh airport, as confirmed by most of them on Twitter. It should be noted that Sibaie was killed around two and a half months ago in Jobar in Damascus, and his brother Suleiman Sibaie quickly joined the collective fight in Syria without facing any impediment. It is worth mentioning that Abdul Aziz Al Sibaie had traveled with the passport of his brother Suleiman. This means that Suleiman had obtained a new passport and visa when he left the airport, despite the fact that according to official entries he was still abroad and had yet to return to the kingdom. It is surely notable that activists who were participating in sit-ins and demonstrations against the Saudi government, suddenly transformed from activists and opposition members to mujahideen. They left the sit-ins and cleared the streets from any rallies against the regime in their country. They abandoned their cause (calling for the release of political detainees) and decided to move to Syria and join the jihad against the government. Coincidentally, this transformation always occurred two or three weeks after they were released from detention. The detainees obviously came out of prison with the ultimate dream of heading for jihad in Syria. The detainees of what used to be called the Tarafiyah sit-in are only one, though an outstanding example of this phenomenon. The majority of those activists and demonstrators detained by the Saudi authorities in the wake of the sit-in in Tarafiyah in Qassim decided to head to Syria and join jihadist organizations there, despite not having any combat experience. This led to a number of them dying just days after their arrival in Syria (for example Mohammed al-Taleq, who had never before taken up arms, was killed five days after arriving). Is it possible that all this happened without knowledge of the Saudi authorities? Senior al-Qaeda members and a large number of those who were banned from traveling, as well as a number of activists and protesters, are getting out of the kingdom through the Riyadh airport, while the Saudi authorities are completely unaware of what is happening on their territory? In fact, the Saudi authorities cannot be requested to prevent or ban their citizens from traveling via the kingdom’s airports, simply because there is a crisis in Syria that attracts jihadist figures from all around the world. Yet, it is evident that this must not include those under a travel ban, since they are not allowed to travel under any circumstance. So how, therefore, was a large number of them able to travel to Turkey and from there to Syria? Furthermore, some of them returned back to Saudi Arabia for a short time, in what seemed to be a vacation from jihad, only to return back to Syria again, all under the nose of the Saudi authorities who failed to take any action and rather only observed. It would be very naive and illogical to believe that the Saudi authorities were completely unaware of the ongoing influx from their territory to Syria and it makes more sense to assume, that the Saudi intelligence services were ordered to turn a blind eye onto the moves of what the regime deemes to be the most dangerous groups. 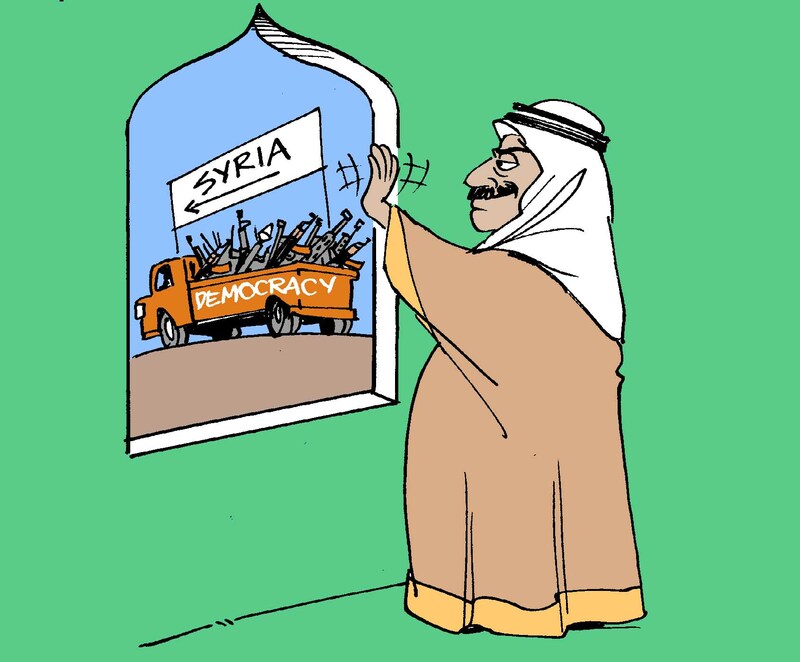 The number of Saudi people heading to Syria is increasing by the day. During the last couple of months, this phenomenon has started to spread among the middle class and the class right below the class of princes, so to speak. In other words, it is no longer limited to the poor, marginalized or those with modest conditions. There are many Islamist preachers who have arrived in Syria (chief among them is Sheikh Abdullah Muheissny), university professors such as Sheikh Othman Al-Nazeh, doctors, notaries, the director of the electricity company, officers in the Saudi army, and relatives of officers. A couple of days ago, Nayef al-Shammari, a major in the Saudi border guards, was killed in Deir Atieh in Syria. He had reportedly defected and joined the jihadist groups in Syria, but he did not do anything that proves he actually defected. Motlaq al-Motlaq was also killed in Aleppo, and he turned out to be the son of Maj. Gen. Abdullah Motlaq al-Sudairi, the director of the Officers Center. As-Safir learned that Motlaq al-Motlaq had been openly supporting jihadists in Syria since last year, and he was carrying out campaigns to collect and send donations to them. Following his death in Syria, Saudi intelligence leaked a report according to which he was wanted by the intelligence apparatus and that he travelled to Syria for fear of being arrested. The suspicious part in the report leaked by the Saudi intelligence, however, was that the uncle of Motlaq, i.e., the brother of the major general, was also in Syria with jihadist organizations, and he was the one who took over his nephew’s belongings after his death. Can it really just be a coincidence that the family of a major in the Saudi army decided to go to Syria and join militant groups?